Katie Compton takes the win at Pan American Championships! Home / Uncategorized / Katie Compton takes the win at Pan American Championships! 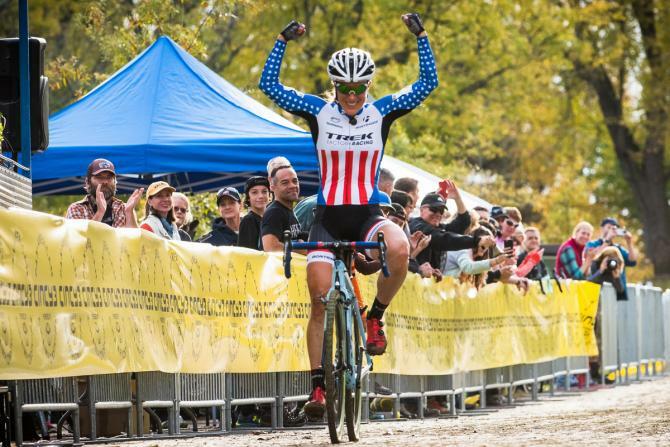 Replicating the previous years heroics, Enduro Bearings sponsored athlete Katie Compton took a commanding win at the Pan American Cyclocross Championships this past Sunday. The fast course demanded aggressive riding, and Compton was able to take a gamble and attack from the front group during the early laps, holding on til the end for the victory. Way to go KC!